I felt an instant blast of flavors in the mouth; each bite was equally juicy and succulent as the spices were deeply absorbed into the meat. It was not just delicious; it was finger licking delicious. Since then there I constantly crave for those sticky chicken wings and to put you through the same drill I bring you today one of the easiest Dallas BBQ recipes I found so that you won’t have to wander around to find the perfect recipe. The recipe I am about to share today is somewhat a mixture of the traditional Dallas wings recipe and some of my own creativity. I originally started with a different combination of spices, but eventually, I ended up using this particular set of spice. And that’s the beauty of these honey basted sticky wings; you can recreate the recipe in any style by keeping a definite proportion of sweet and spice. The making of these wings requires five easy steps and some of the special Dallas BBQ sticky wings ingredients, which I will be sharing here shortly. This is why I would suggest you read on, as this article will also unfold how and why the particular spices are used to season the wings. 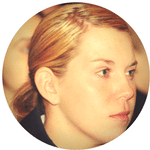 Each of the ingredients is essential to infuse the typical Dallas flavor and that, you would never want to miss. So here comes the recipe! Are you ready to dive deeper into the saucy BBQ flavors? Among the various ways to amp the taste up, the selection of the right kind of spices and a well proportionate blend is most crucial. So before getting to the actual making of the wings, let me just share some of the relatable facts about the ingredients used in the Dallas BBQ wings recipe. 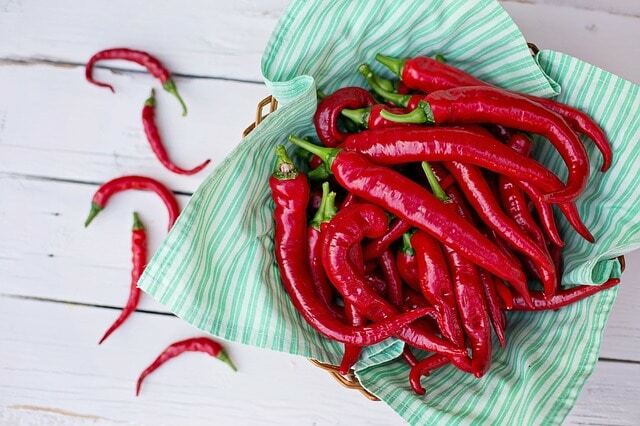 Cayenne Pepper: That kicking taste of these chicken wings comes from the cayenne pepper. I like my chicken wings to taste a bit tangier, that is why I always add the cayenne pepper to the recipe. It can either be added to the glaze or rubbed over the wings before coating. By adding the pepper to the glaze, the flavor of the pepper is better infused into the wings and tastes fresher. Lemon: Here is another optional ingredient to enhance the flavors of the wings up to many folds. Lemon or lime juice is not a basic recipe ingredient, but it is a great way to add a peculiar sting to the Dallas wings. a light drizzle over the glazed wings is enough to give it a refreshing twist. Else the juice the can be added to the glaze itself while it is cooked on low heat. Sesame Seeds: Sesame seeds are a sure way to infuse taste and increase nutritional value of a recipe. For these wings too, sesame seeds complement the strong barbecue flavor. Toasted or fresh sesame seeds are great to garnish the wings just before serving. These are not essential, so it is upon your personal preference. You can create a new variety just by adding some sesame seeds to the glaze. Flour: For 3 lbs. of chicken wings about 2 cups of flour is needed for a nice and generous coat. Plain flour is not coated rather it is mixed with spices or seasonings to infuse a basic taste. Flour gives the wings a crispy texture to the wings. 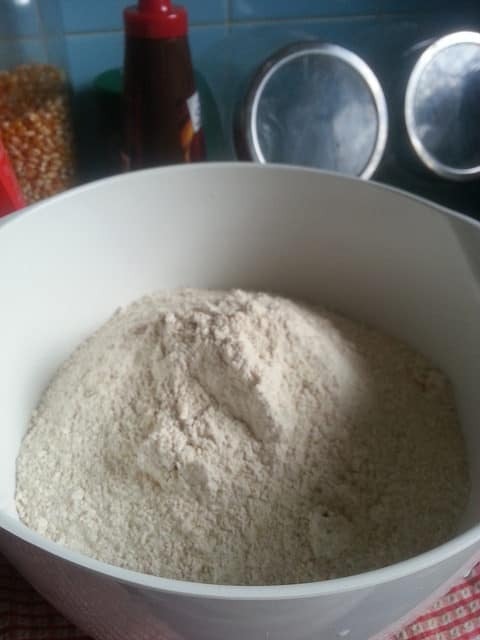 to prepare the flour mixture, make sure to pass it through a sieve to get rid of all the excess lumps. Ginger: We use ginger powder to season the flour mixture. For the given amount of flour, about 3 tablespoons of ginger powder are enough to get the desired results. Ginger powder has a very distinct taste which can not be replaced with any other spice. Ginger powder is easily available in every other grocery store, just make sure to add it to the list. Black Pepper: Black pepper seasoning is my personal favorite in the recipe. The pepper has a mild yet a peculiar flavor. Freshly ground black pepper tastes amazing when it is added to the flour mixture. There is no definite proportion black pepper to add to the flour, just add as per the preference. Egg Wash: Once the chicken wings are coated with the flour mixture, they are dipped in the egg wash. An egg wash is prepared by mixing 2 whole eggs with 4 tablespoons water. This mixture is enough to coat the number of wings taken for this recipe. Just whisk the egg with water well until they both are completely incorporated into one another. Once the flour mixture is prepared, half of your work is done here. The other half needs the making of the barbecue glaze, the specialty of Dallas chicken wings. This glaze makes the wings sticky, sweet and tangy. Following are ingredients required to prepare the glaze. Garlic: Dallas chicken wings are famous for its distinct garlic taste, and that garlicky aroma is likely a trademark of the nicely cooked Dallas wings. garlic is mainly added to the glaze or the sauce of these wings. The garlic is chopped and then sautéed before other ingredients are added. Another way to infuse better garlicky flavor is to roast the cloves in the oven and then add to the glaze. Use 3 garlic cloves and finely mince them. Cooking Oil: Oil binds all the ingredients of the glaze together and gives it a nice glossy finish. About one tablespoon of oil is enough to make the glaze for 3 lbs. of chicken wings. Sautee garlic in this oil before adding other ingredients. Honey: Honey is the main ingredient of this recipe. 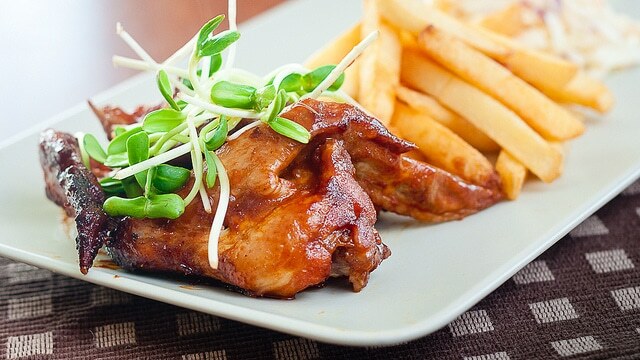 It gives name sticky to the wings and adds a mild sweetness which has made these wings more popular. A cup of honey is enough to add to the glaze for 3 lbs. chicken. 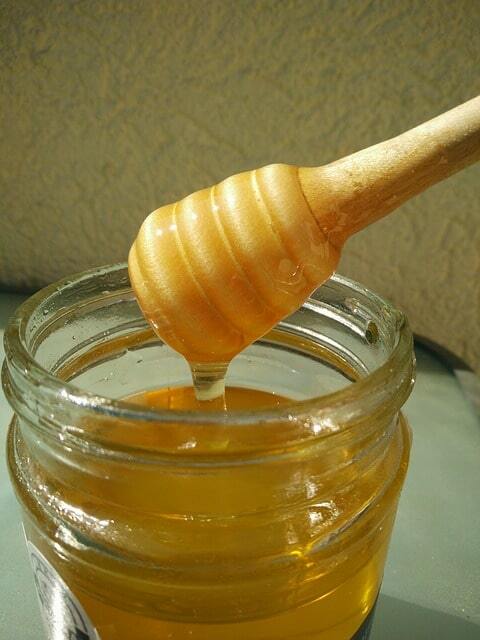 Choose organic and pure honey for the recipe as it is free from all the artificial sweeteners. BBQ Sauce: For one cup of honey, about half a cup of barbecue sauce is required to prepare the glaze. The ratio of honey to BBQ sauce is 2:1. Keep this ratio in mind for the recipe and adjust it according to the amount of the chicken wings you want to cook for the table. Wings are first coated in a flour mixture. So that’s where we start our recipe from. The mixture needs flour, salt, pepper and ginger ground. Mix all these ingredients in a bowl. Make sure that all the ingredients are equally dispersed and evenly mixed to infuse the flavors evenly. Add salt and black pepper as per the taste preference. I keep it minimum to ensure low sodium outcome. But again, it is completely up to you. 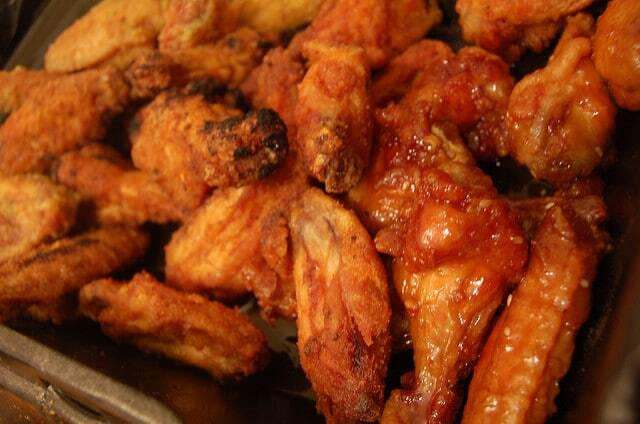 When wings are coated with flour mixture and then cooked, they turn out to be far crispier. So, it is not only good for the taste but the texture. Once the flour mixture is prepared, its time to ready the chicken wings for cooking. It doesn’t take much to prepare the wings. First, cut the chicken wings into the half. 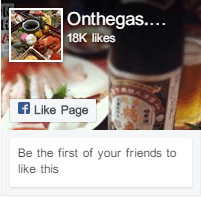 It depends on personal preference, many people including me, like to enjoy the whole wing. So, I don’t cut it into the half. Then comes the cleaning of the wings. Simply wash them under clean water and pat them dry using a paper towel. The fried chicken wings are ready to be coated with the seasoned flour mixture. Spread the dry mix in a shallow dish or plate and place the wings in it one by one while dredging them through the mixture to coat well. Shake off the excess. Keep the dipped wings aside. Whisk eggs in another bowl and dip the coated wings in the egg wash and then again coat them with the flour mixture. This double layer of flour coating gives the wings a nice crunch and volume. The thicker the coating is, the tastier the wings are cooked. The cooking is the fun part, as you can sit and relax until the oven timer stops. There are several ways to cook these wings. You can air fry, deep fry, grill or bake them in the oven. I personally used the baking method. For that, you need to grease a baking tray with some vegetable oil and place the wings in the tray. Bake them for 20 minutes at 350 degrees until they are golden brown. For even color, flip the wings after 10 minutes of baking. Remember the cooking time and temperature, as these wings require such a condition to be cooked well, no matter what other methods you use. 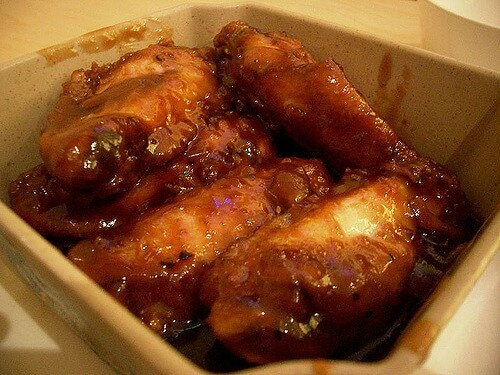 What makes the Dallas BBQ chicken wings different from the rest is the sticky glaze it has on top. That glaze is what needs to be prepared next. Start by sautéing garlic in a saucepan for 30 seconds. Once the garlic is golden brown, add barbecue sauce and honey along with salt and pepper for the seasoning. Mix all these ingredients well and let them simmer on low heat until it starts to slightly thicken. When the chicken is cooked or baked then coat it with the prepared honey glaze. Add the prepared glaze in a shallow bowl and top it with the crispy chicken wings. Use your hands or a spatula to toss the wings in the glaze until all of them are coated well. the better the glaze coating, the better these wings will taste, so make sure to mix well yet gently. Serve these glazed wings with your favourte sauce or dip. I usually like a yogurt dip to balance out the sharp and tangy taste of the wings. Simply whisk yogurt with mint leaves and season it with salt and pepper. This is refreshing to the core. 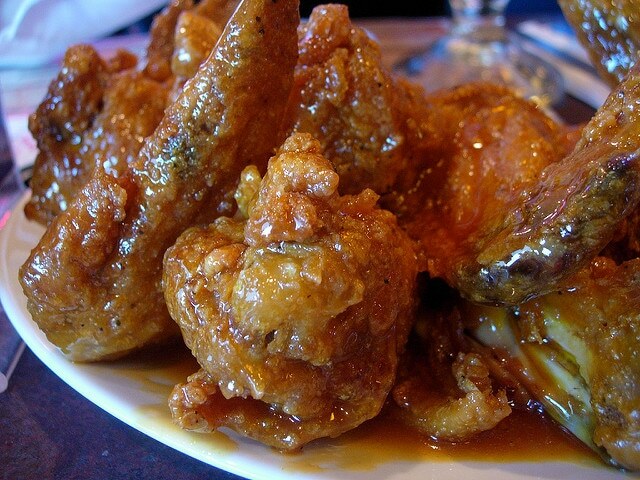 Another good option is to use some sweet and savory sauce with these wings. I personally serve them as a side dish, with vegetable entrees, in this way all the macronutrients are served on the platter in a required proportion. Fresh vegetable salad is also great to complement the wings. Dallas special BBQ sticky wings are a delightful treat for all. Unlike other chicken wings, they have a lot more to offer in terms of taste and them sticky and crispy texture. the taste is a healthy mix of sweet and spicy which is rare to find in chicken wings. the ease of making these wings made it my first choice for every dinner and party menu. They can be both served as the snacks or the appetizers. For best taste, the wings always have to be served fresh. What I usually do is that I keep the ingredients ready beforehand, keep the glaze ready and the wings baked. And just minutes before serving I toss them together, in this way the wing’s fine crispy texture remains intact and outer glaze looks fresh and radiant after the serving. Share this fine culinary experience with your family and apprise us with more of the interesting facts about Dallas sticky wings through feedback.